Tienda de Menorquinas de piel EXTRA SUAVE con tira y brillos. > Toddler girl>Avarcas from Menorca>Shiny leather Menorquina sandals with rear strap. Shiny leather Menorquina sandals with rear strap. 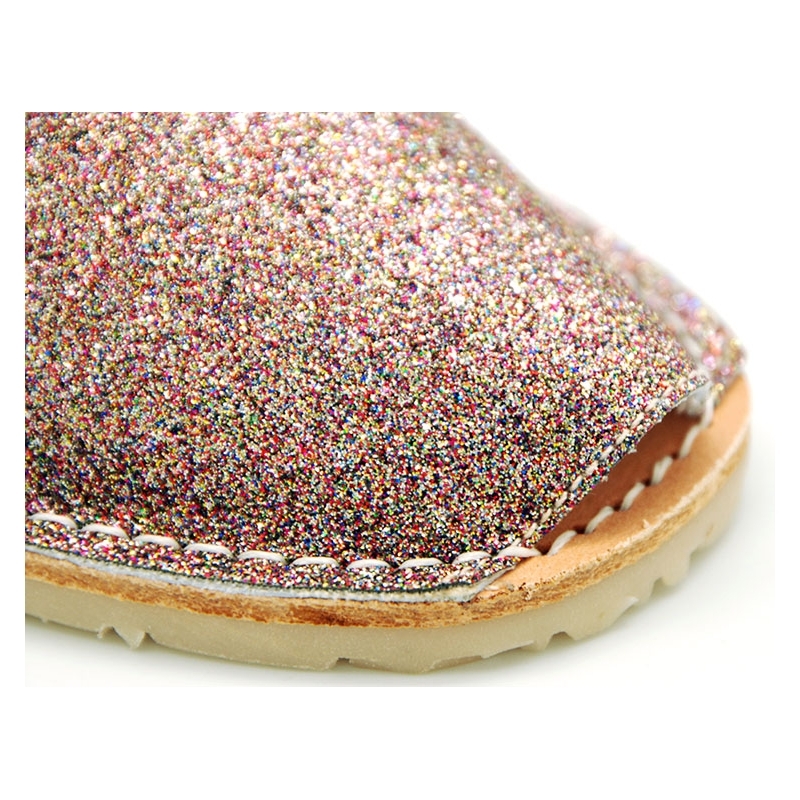 Shiny Leather Menorquina sandals with rear strap for toddler girls, boys and mums too. SIZING LARGE. 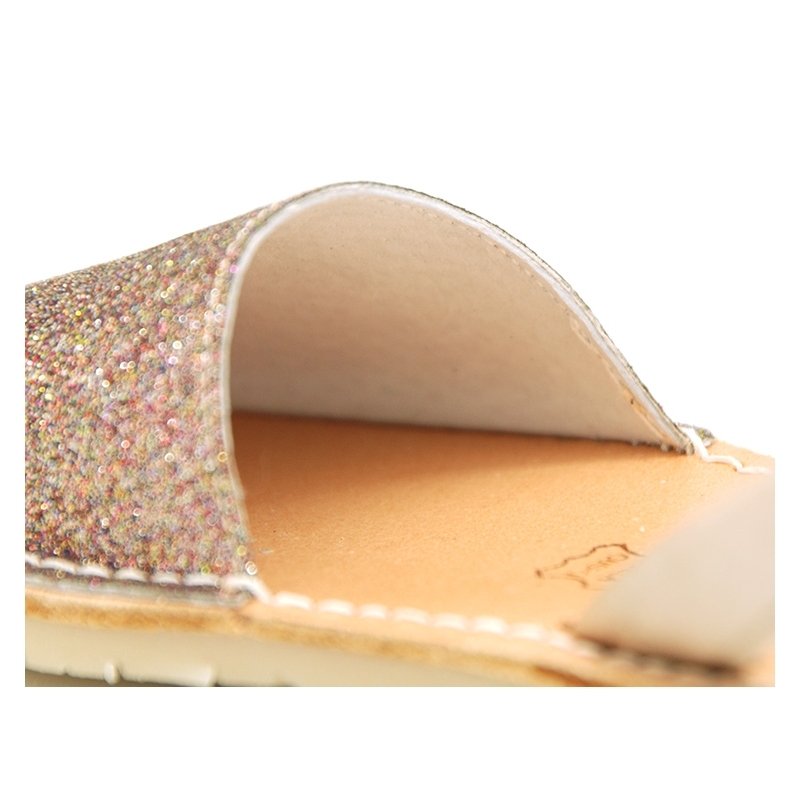 More info about Shiny leather Menorquina sandals with rear strap. Traditional Menorquina, also known as Ibicenca or avarca in Spanish with rear strap and shiny design leather for girls, boys and mums too. 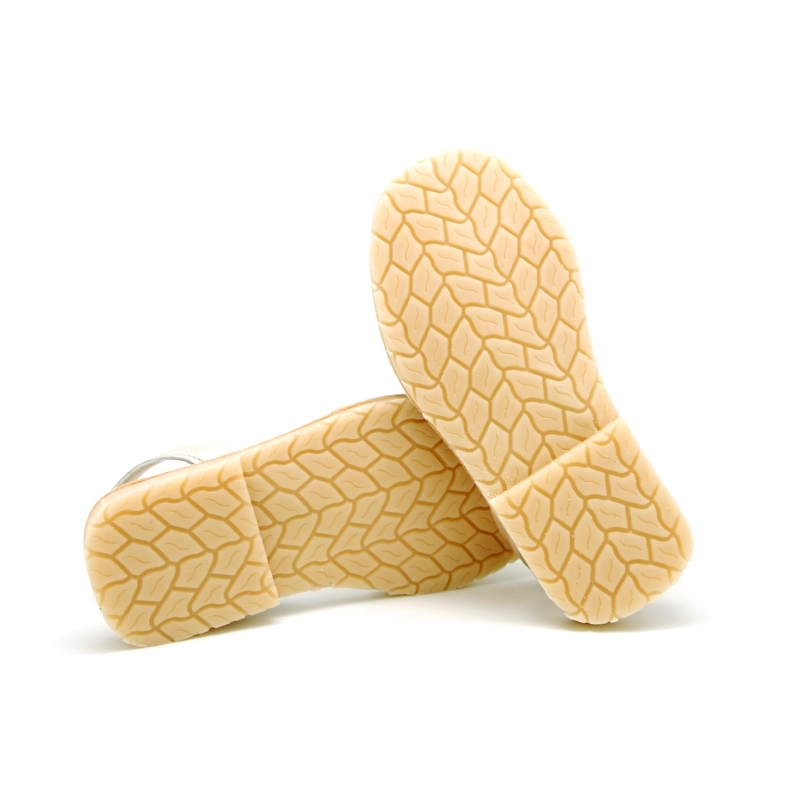 Made up of 100% natural high quality extra soft leather with shiny finishes. Shiny designs are very trendy this season in all kids collections. A must-have of the summer. ItÂ´s an update model of the classic one. Mix and macth with all their garments this spring summer. Very fluffy and soft for their delicate feet. and totally flexible in order they can learn to walk without problems. EXTRA FLEXIBLE OUTSOLES. Available in 3 colors. Sizes range: from 30 Euro size up to 40 Euro size. Available too with velcro strap as well from 19 Euro size up to 30 Euro size. 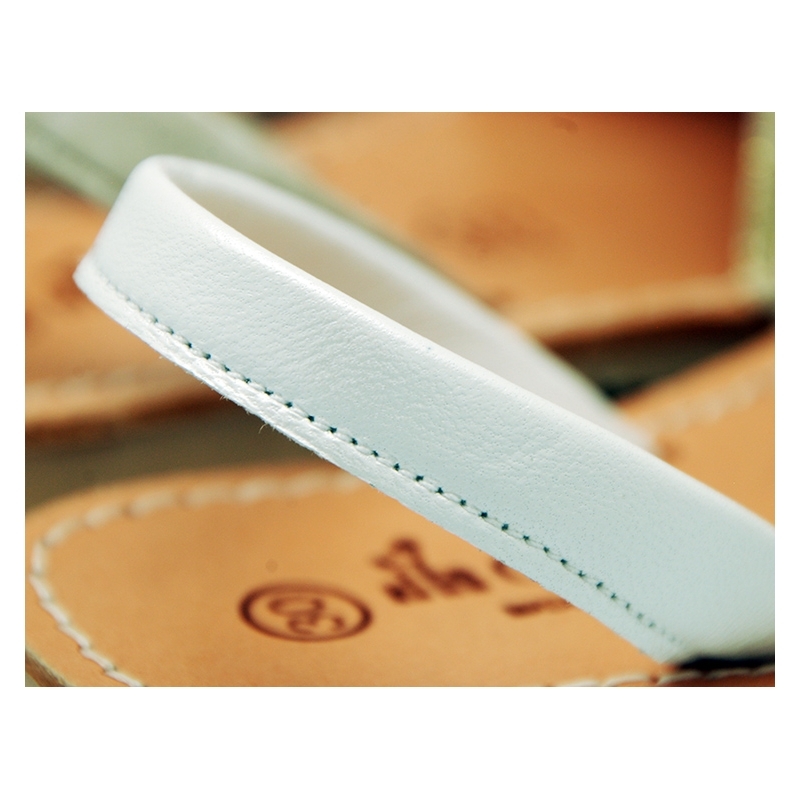 Data sheet about Shiny leather Menorquina sandals with rear strap.